INTERVIEW: La Carmina, TV host, blogger, author and journalist. | Jump for Journalism. INTERVIEW: La Carmina, TV host, blogger, author and journalist. She’s got nearly 35,000 Twitter followers, she is a prominent fashion and travel blogger as well as a TV host for the Travel Channel, Discovery, Food Network and CNN, but La Carmina still has time to chat to us about her journalism experience, after gaining her new position as travel and subculture journalist for Business Insider. She has a background of writing, after writing three books for Penguin USA and Random House, as well as regularly contributing to the travel and culture sections of Huffington Post, AOL and CNN. Hello! Thanks for agreeing to chat to us here at Jump4Journalism! First of all, can you tell us a bit about yourself and what you do, both journalism related and not? 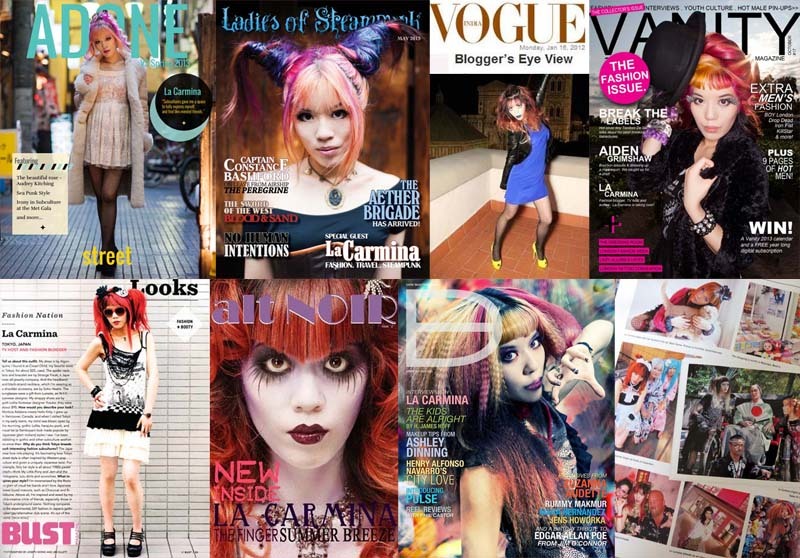 I did a bit of local journalism in the past, and was a student at Yale Law School when I launched La Carmina blog (http://www.lacarmina.com/blog/) in late 2007. The focus was originally on Japanese and Gothic fashion, and I posted almost every day. Readers kept asking me for Japan travel tips, so I expanded my content to other areas of Asia pop culture like maid cafes and Goth clubs. These got a big response, and led me to signing with a literary agent and publishing two books (with Penguin and Random House), including “Crazy, Wacky Theme Restaurants” — a guide to Japan’s weirdest theme restaurants. I also started writing for CNN-Go, and was increasingly assigned travel articles. Television production companies also began asking me to work with them as a consultant, arranger, and on-camera host for shows like Oddities, Bizarre Foods, and The Doctors. Today, I present TV shows on various networks, and work as a travel/culture journalist and blogger. My filmmakers and I travel constantly, capturing firsthand stories about underground culture worldwide. When did you first realize that a career in journalism was something you’d like to pursue and why? I was never interested in rambling travelogues or depersonalized “inverse pyramid” news, so I didn’t think journalism was for me. However, everything changed with the increasing switch to online media. Writing for a web audience is very different than writing for a traditional print newspaper. 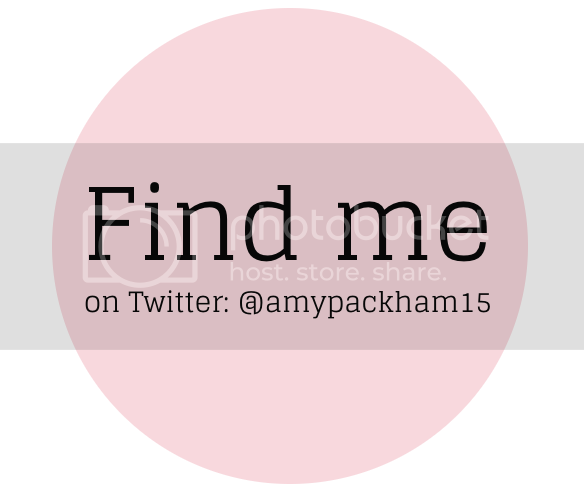 I fell in love with this new format of sharing photos, social media posts, internet video, and personal stories. I feel exhilarated about the journalism I do today, and am eager to keep doing more. What was your first journalism/writing related ‘break’ and how did you go about getting it? I wrote a column for a local newspaper when I was in my late teens. I simply pitched the idea (about young perspectives) to the editors, and they gave me a chance. Play up your uniqueness (whether it’s age, niche, specialty interests), and don’t be afraid to get your ideas out there. You’ll never know where a blind, targeted pitch may lead. Can you tell us about the current writing you do at AOL / Huffington Post and Business Insider? How did you manage to get these positions and what sorts of things do you write? I have a great work relationship with my main editor, who I followed to various publications. I think I do my best writing when I focus on my specialties, so I usually write about Asia pop culture, street fashion, offbeat travel, trends, and alternative subcultures. A lot of opportunities come from building connections over the years. If you “click” with editors or publishers, chances are, they will want to keep working with you and opening up doors. What do you think are the important qualities of a successful journalist? It depends how you define success: making a social impact? Causing change? Or getting the biggest pay cheque? For me, I’m dedicated to covering alt / subcultures in a positive way and increasing understanding about them. My works about controversial body modifications like Japanese bagelheads, for example, started conversations and hopefully diffused misunderstandings about the procedures. This is when I feel my work in journalism has the most meaning. 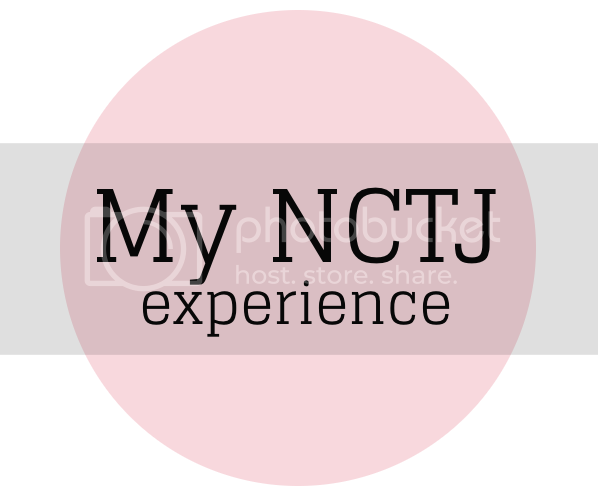 Do you think blogging is important if you want to develop a career in journalism? Can you tell us a bit about your blog too and how you have managed to make it successful? 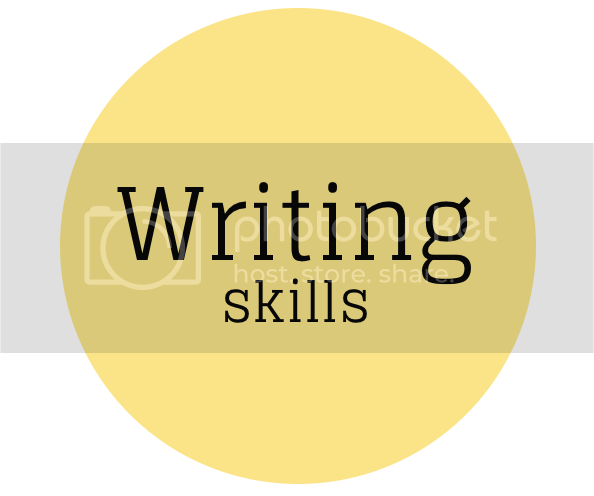 Today, I think it’s crucial to be versed in blogging and social networking. There’s no better way to learn than by doing: aspiring journalists should jump in, if they haven’t already! By blogging regularly, you practice writing for a web audience and get immediate feedback. You’ll gradually learn SEO, gain followers, and build a strong online portfolio that you can show to potential employers. I began blogging in 2007, a very young age in blog-years. I never stop trying to improve every aspect of my blogging, and this keeps my readership and opportunities growing. How can aspiring journalists stand out when applying for jobs? 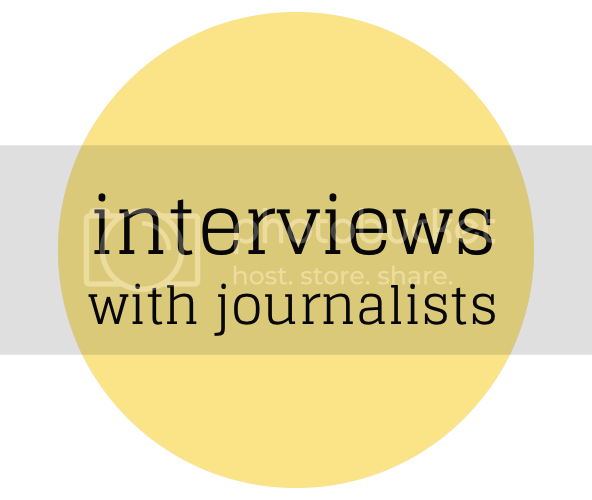 Do you have any advice for upcoming journalists? Demonstrate that you have a strong understanding of social media and blogs, ideally with online examples of your work, and statistics about your reach. Read about SEO and web developments regularly, and be active on social networks. Don’t be afraid to be bold and specialize in something, whether it’s tech gear or LGBT. Not everyone will “get” your approach, but those who do will be keen to have you on board. Previous post ← Life Lessons from your Journalism Agony Aunt. By Annette Stevens. Awesome interview! Would love to see more from her! The secrets of a phone interview. Hello September, Goodbye Summer. By Natasha Slee. 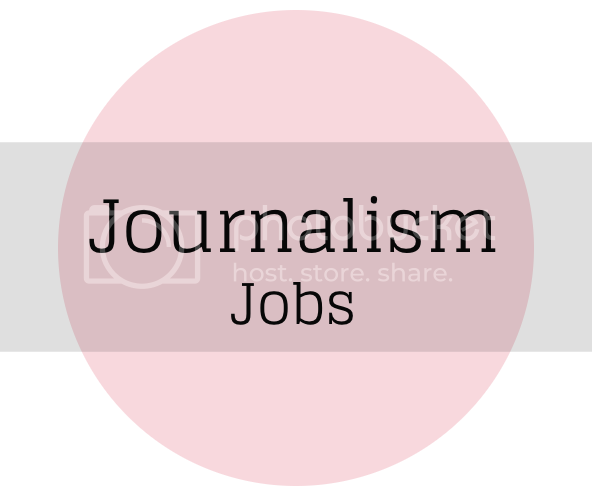 A journalism degree - what does it entail? I'm a graduate... now what?